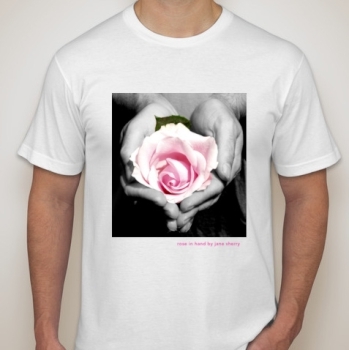 Find Wearable Artwork T-Shirts by Jane Sherry in this section of the store. If you need a size you don't see here, just call us at 561-910-1871 to have us order one for you. We have women's all cotton t-shirts and men's all cotton t-shirts in unisex sizes. Please let us know if you'd like to order one of these designs or some other design from Jane's Studio printed on a white or colored t-shirt of your choosing. It's easy and fast! Have all your gifts drop shipped directly to your loved ones!